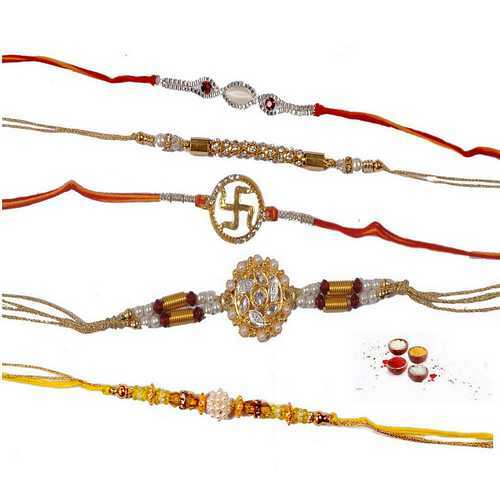 Brothers have been the source of inspiration in your life. 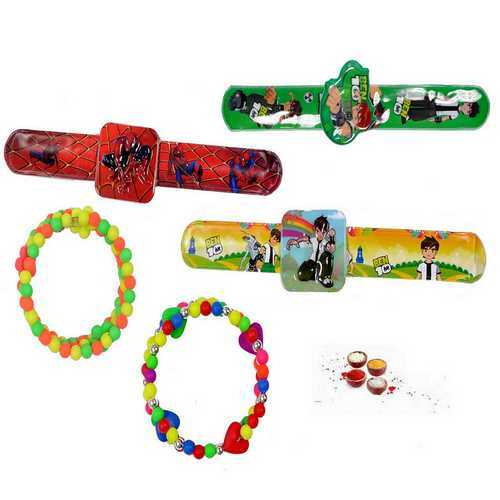 It�s time to impress them and express your love with them. 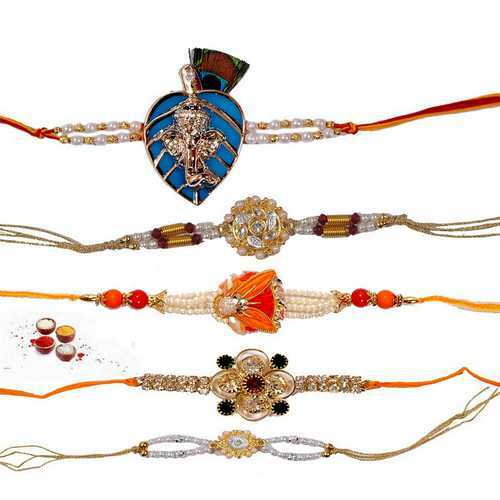 Convey your love and wishes to them with Premium Quality Designer Rakhis set. 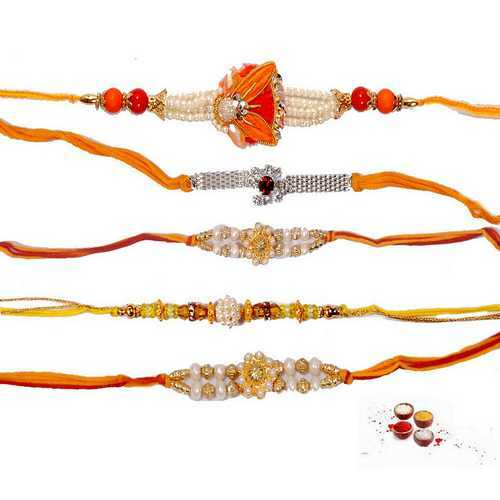 This set consists of 5 designer rakhis skillfully crafted with pearls and premium stones in very attractive motifs and mauli or Resham threads. 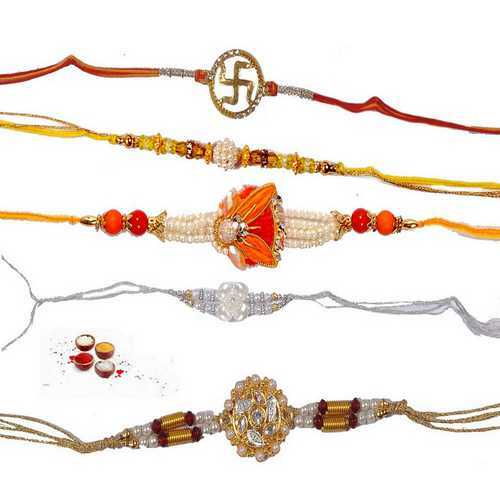 Buy these rakhis online and send to your brothers. 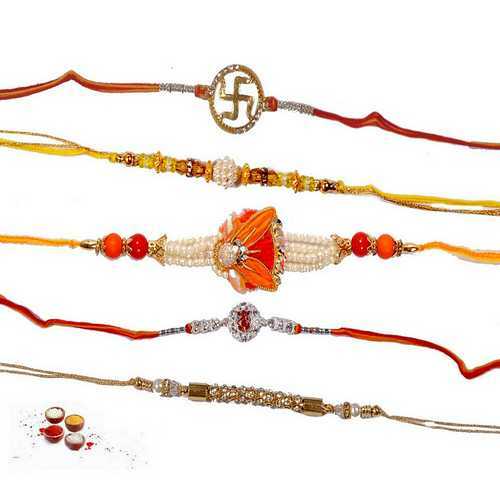 Get these premium quality designer rakhis with free shipping and complimentary Roli, Chawal, Chandan and Mishri.